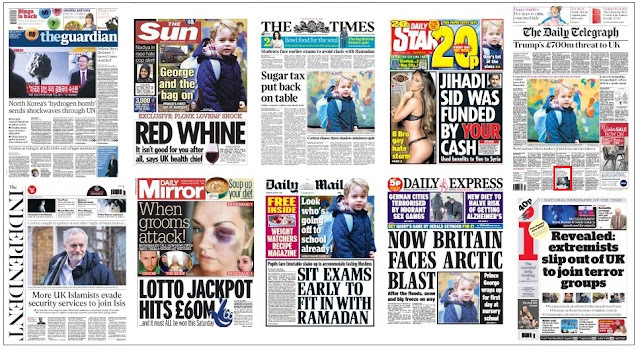 This morning's post is not so much about what's on today's front pages as what isn't on them, apart from the little slot marked in red at the bottom of the Telegraph. The death of the composer Pierre Boulez. OK, he's hardly in the same newsworthiness league as Lemmy as far as the pops are concerned. He was 20 years older, for a start. But the passing of such a force for modern classical music surely deserves a mention a little earlier than page 12 of the Guardian or page 16 of the Independent? At least they offered a news story in addition to their obituaries. The Times didn't even go that far. 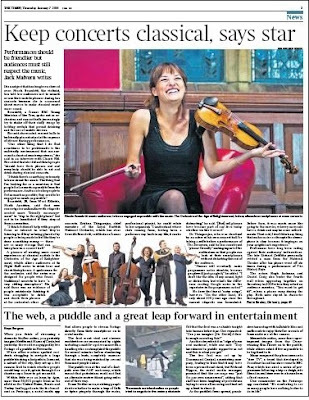 Readers who persevered to the end of a page three story about Nicola Benedetti's views on how classical concerts can shake off their stuffy image were alerted to the death by the one-line cross-reference: Pierre Boulez, Obituary, page 49. Let's pause to think about that for a moment. A 28-year-old violinist speaks about the atmosphere at concerts and how it could be made friendlier, while at the same time encouraging audiences to respect classical music, to listen in silence without eating, drinking and playing with their mobiles. 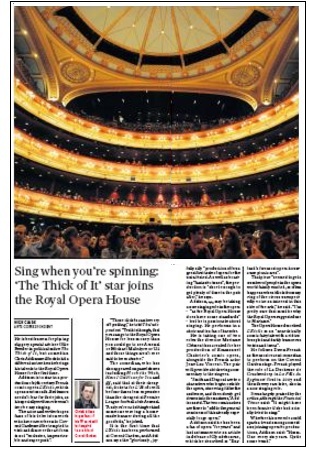 She gives this interview not to the man with the byline, Jack Malvern, but to Classic FM. To emphasise the seriousness of the subject matter, the story is illustrated with a delightfully attractive photograph of Benedetti and a cutout of members of the more laid-back Orchestra of the Age of Enlightenment, which is apparently less uptight about the eating, drinking, texting fraternity. It's a perfectly good subject. And a fantastic opportunity to give prominence at the same time to one of the great modernisers of classical music. A man who worked with a president to set up an institute for the development of modern music, where composers could work hand-in-glove with the best performers and technologists, with the latest computers at their fingertips. But no. Old man dies is not news unless he happens to be a drug-abusing rocker or a former politician suspected of sexual abuse decades ago. Much better to give the other slot on page three to a viral video of people jumping over a puddle in Newcastle. Yes, it's fun. But it's also something shared on Facebook or Twitter. I looked at it this morning, alerted not by The Times, but by social media. It's a laugh. It's interesting that a puddle attracts viewers in America - although the numbers aren't that sensational - but it's a story that could have been told further back in the paper. 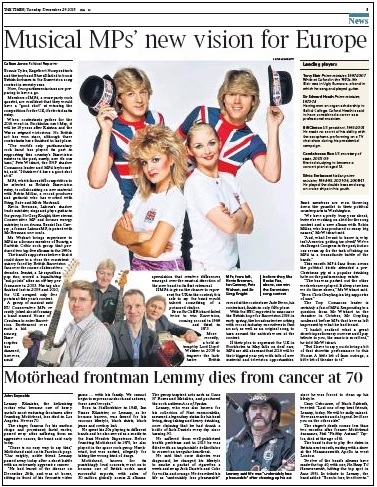 Funnily enough, the paper's page three on the day after Lemmy's death was announced looked quite similar to today's. And funnily enough, it gave Lemmy exactly the slot that I'm suggesting might have been used for Boulez today (I give up on any idea that it might have made the page lead). "not only one of the greatest composers of his era. He was also a masterful conductor, a visionary thinker, an influential writer and a towering figurehead for new music. He was a unique soul whose energy and focus could leave a profound impact upon those who encountered him". But the paper still gave more space, further forward, to the forthcoming appearance of the Thick of It actor and panel show regular Chris Addison in a comic opera at Covent Garden. He says he hopes that fans of his television work will be tempted to go and see him and discover that opera isn't "exclusive, impenetrable and super posh". 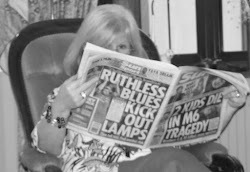 So we have two serious papers giving over serious space to celebrities trying to persuade people that serious music is worthy of their attention. 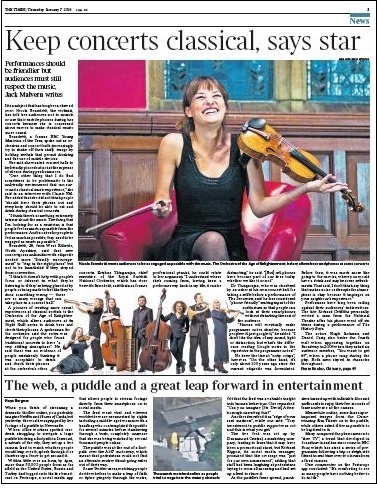 Yet those same papers lack the confidence properly to acknowledge a giant like Boulez. Yes, the obits are all thorough, a full page in the Independent, Telegraph and Guardian, two in The Times. 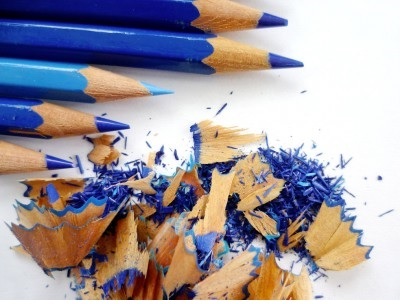 But isn't it time news editors took off the showbizzy blinkers and started recognising that a person's newsworthiness doesn't begin and end with his or her television or social media profile? The music of Pierre Boulez will not be to everybody's taste. But neither is Motorhead's. Here is a YouTube video of Michael Barenboim playing Anthèmes II at the Proms a couple of years back. It's a solo piece, the extra sounds are produced electronically by IRCAM, that institute set up at the behest of Georges Pompidou in the 1970s. The music was written in 1997 - almost a decade after Ace of Spades. Oh yes, and if you're counting, the hatful of honours showered on Boulez incuded 26 Grammys. That puts him five behind record-holder Sir George Solti and four ahead of U2, the most-honoured group. Lemmy never got one. Starvation in Syria: how did it take us so long?